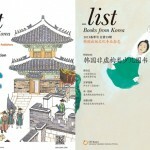 South Korea's Literature Translation Institute sends young Korean writers overseas to help promote Korean literature, and focuses on different strategies in different countries. Frustrated by what it sees as poor service, independent children's book publisher Barefoot Books says "life is too short" to deal with Amazon and is cutting its ties. Porter Anderson previews this week's BookExpo America and ponders how changes at the fair reflect the ongoing transformation of "the industry, the industry!" Crowdsourcing content and crowdfunding publications has developed from simple Kickstarter campaigns to much more complicated projects. Here's a look at the evolving phenomenon. In this week's PublishNews Brazil: Brasilia's debate on future of digital publishing, FNLIJ's awards for kid's lit, and the Gothenburg Book Fair's focus on Brazil in 2014. Jingdong, China’s third place commercial online bookstore, is boosting its challenge to Dangdang and Amazon’s dominance by focusing on service and international titles.